Which podcasts should you listen to this summer? Everyone loves a good podcast. Whether you’re working inside or out, something to listen to besides music is always helpful when trying to get through the day. So, this week I decided to write about six of my favorite podcasts that you should listen to if you’re working, feeling bored, or just want some background noise while you’re doing anything at all! 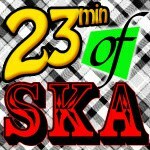 Uploaded with a new episode every Thursday, 23min of Ska is a podcast created by Radly “Rad” Jose Phoenix, a former neurosurgeon who “roamed the planet studying martial arts and particle physics” until he got around to making a podcast that focuses on his favorite musical genre: ska. In short, ska music is the precursor to reggae, and it has three “waves”: the first, which originated in Jamaica, the second (known as 2 Tone), which was the revival in the United Kingdom from the late 1970s, and the third wave (ska-punk), that came around the late 1980s and became a success in the 1990s. The idea of 23min of Ska is to play ska music for 23 minutes straight. It’s a simple idea that works wonders for any rude boy or rude girl. Starring comedian Chris Gethard, this podcast (often shortened to Beautiful/Anonymous) focuses on the following premise: “1 phone call. 1 hour. No names. No holds barred.” Each week, Gethard puts out a message saying that the phone lines for the podcast are open. One call gets through, and Gethard can’t hang up no matter what. He and the caller talk for one hour at most, without the caller giving any information about his or her identity, and the result is an interesting podcast about multiple life stories. Through this, listeners are able to learn that they aren’t alone in the problems they face, and that some people have it a lot harder than they do. 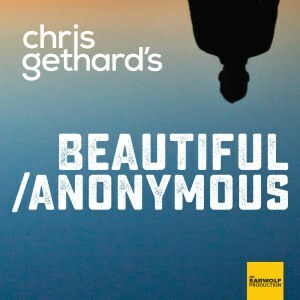 Beautiful/Anonymous is definitely worth a listen no matter who you are. Comedy Bang! Bang! 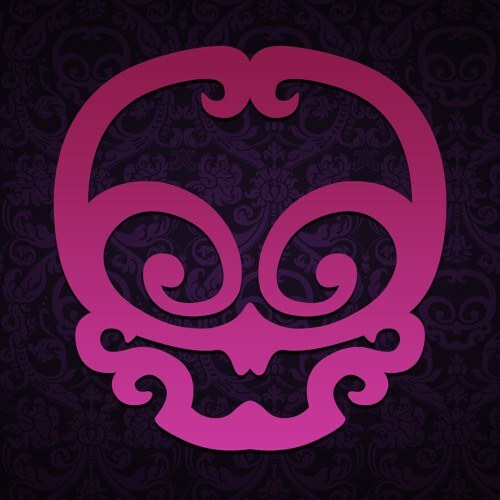 is hosted by Scott Aukerman and has a very interesting idea. Released weekly, each episode has a few guests (comedians, mostly) who are interviewed by Aukerman. The next guests are wacky characters, sometimes played by the same guests as before. Needless to say, hilarity ensues. The comedy of this podcast comes more from the interactions between each guest and the host, rather than from the topics brought up. This podcast is worth a listen for anyone who is interested in comedy and comedians. Are you a fan of crime stories? Stories of murders both solved and unsolved? If you said yes to either of those questions, then you’re in luck. 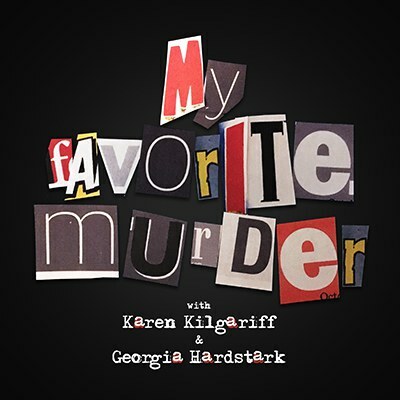 This podcast, starring comedian Karen Kilgariff and Cooking Channel TV show host Georgia Hardstark, discusses murder stories that they have heard. They can be well-known or not, but either way, listeners are in for an informative ride full of twists and turns. This podcast is centered around a group of internet animators called Sleepy Cabin and whatever topics they can think of talking about, sometimes answering questions from their fans. There are life and childhood stories to be told, lessons to be learned, advice to be given, and just plain old entertaining banter to be heard and laughed at. Some might call them politically incorrect at times, but they really mean no harm. I will note that they are more NSFW than the other podcasts mentioned, but if this doesn’t bother you and you have the time to listen, then you definitely should. 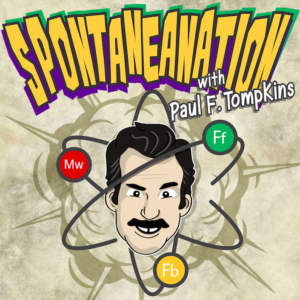 Comedian Paul F. Tompkins hosts this podcast based around improvisational humor. Like Comedy Bang! Bang!, there are guest interviews for the first half of each episode. The second half, however, is reserved for Tompkins and his quests to be given a place (provided by fans) to perform improv in. It could range from a Denny’s parking lot to a panic room, and it’s a hilarious way to kill an hour or so. If you aren't paying attention to the women of "Game of Thrones", you're watching it wrong. In honor of the new season of "Game of Thrones", let's take some time to think critically about the women that serve as the heart of the show. Personally, I've spent many years on and off a fan of the show. But recently just binge-watching all of it, I found a new appreciation for the ladies of the series. It should come to no surprise that my favorite characters on the show are all women, and that's entirely because the few women we're given are so highly complex and underrated. Cersei Lannister is my favorite character on the entire show, and she's the easiest to be written off as a villain. She's definitely one of the most hated, but by far she's the most complex. She's such a good character because, whether the general public wants to admit it or not, every single action she's ever made has reasonable motivations. All she has ever wanted, all that Tywin Lannister has instilled in her, has been to be the best. But, being a woman in this society is oppressing, she can't outright get the power she has always craved. She not only secured a marriage with the King but secured the fact that a full-blooded Lannister would sit on the throne. Everything she does is calculated and even when her plans don't work out the way she wanted them to, she always gets her revenge. It's always hilarious to me that women are not allowed to be morally grey when male characters are allowed to thrive inside of it. When a man kills someone to protect their family, it's fine, but when Cersei does it it isn't? Yes, she has done horrible things. But every character has gotten rid of their enemies (even perfect boy Jon Snow), and I hear no public outcry. The Queen said it best: "The more people you love, the weaker you are. You'll do things for them that you know you shouldn't do. You'll act the fool to make them happy, to keep them safe. Love no one but your children." You don't have to agree with everything Cersei does (I certainly don't), but at the very least respect the game she's playing and winning. I first started watching this show more than 5 years ago, and some public sentiments have changed while others have not. The pure hatred for Sansa Stark, sadly, has not changed a bit since she was first introduced. Sansa has committed no crime other than being a naive teenage girl with dreams (horrific, I know). But to me, she's had my favorite arc of growth. When we first meet her she is a normal teenage girl, excellent in her needlework and dreams of getting married to a king. She's in "love" with Prince Joffrey, but as soon as she's away from the safeguarded Winterfell, everything starts to unravel. Imagine this: You're a teenage girl, promised to the prince who turns out to be an absolute monster, things happen beyond your control and you witness your father's beheading (which, you've tried to stop by pledging loyalty to the family who is executing him). You have no skills to fight (because you've never been taught that, you're a girl), and you're at the mercy of the people who have killed your father and deemed your family traitors. What would you have done? Sansa had to not only navigate court politics alone in a strange place but is stripped of all her agency in the process. Her fate is not given to her to decide. She's wedded to Tyrion Lannister (who might've been the only man in her life who didn't try to manipulate her in any way). And then taken from Joffrey's wedding by Littlefinger, who is in love with her because he was in love with her mother. She's then sold again to the Ramsay Bolton for Littlefinger's benefit, who then rapes her every night and keeps her locked up during the day (did I mention that this took place in Winterfell, her home?). Sansa has been manipulated, used, and abused for years of her life. The fact that she is able to overcome all of that and flourish into the pragmatic, competent leader she was always born to be is incredible. She's able to kill her abusers and take back Winterfell with the help of Jon and saves the day with her pull of the Vale. Sansa's arc is one that many women have been through, especially survivors of abuse. She shows young girls that years of abuse and manipulation does not mean it was your fault or make you stupid. Sansa Stark is not stupid, she has been through perhaps more than most of the characters on this show have: and yet she is so widely hated. My favorite thing, so far, had been watching her absolute growth into the Lady of Winterfell. She has learned from the masters of snakes, and when she tricks Littlefinger and kills him she delivers this triumphant line: "I'm a slow learner, it's true. But I learn." Arya Stark, unlike her sister, took to weapons as a way of survival. She's always wanted more than the life she was forced into as a girl, to fight and be trained like her brothers. After the execution of her father, she flees King's Landing and her journey of survival and self-discovery begins. Though she must disguise her true identity, she's almost given the freedom to be who she's always wanted to be. She is ruthless, and brave, unafraid and filled with the need to avenge her family. She cycles through different people like The Hound, Tywin Lannister, the Faceless Men, and learns different things from all of them. The best part of her arc, however, is the culmination of her training. Though she has trained for almost two seasons with Jaqen, she gives it all up. Arya ultimately found herself from being other people. As soon as she was forced to truly become no one, she realized that she needed to be Arya Stark more than ever. For the first time, she realized what it meant to be herself and found self-acceptance in that image. She returns to Westeros to kill Cersei, but when she hears the news that her family is alive, she abandons it. Arya has been floating all these seasons, like most of the Starks were, and for the first time in a long time, she is given a purpose: to protect her family. The Stark sisters compliment one another so well: they each have such different skill sets and together they make an unstoppable force of power. They have grown from the first season caddy sister behavior, and confide in one another. This type of sisterhood is what we've needed since the beginning. And if their dual manipulation and murder of Littlefinger is any tell, they're certainly not the same little girls who left Winterfell in season 1.
Notable women who have certainly made my list of favorites are Margery Tyrell, Catelyn Stark, Brienne Tarth, and Lady Olenna. Each of them are complete badasses in their own ways. Margery has a clear goal and will do anything to be queen, her acts of public service keep her in favor with the general public, she plays the part perfectly of the perfect wife, and is willing to marry whoever is in the line of succession. In the end, she is the only one who can see right through Cersei's plans in the Sept of Baelor and realizes she has fallen into her trap. Catelyn, likewise, is the first person to sense the treason of The Bolton's and warns her son before their untimely death. Brienne is the only female warrior we see and her sense of loyalty to what she believes is right is admirable. She dreams of being a knight and doubts that honor will ever be awarded to her, even though she's one of the best fighters in Westeros (she beat The Hound!). And last but certainly not least, Lady Olenna is absolutely iconic, unapologetically killing the King of Westeros at his own wedding. While the men on the show can give some incredible performances, the women are consistently showing us layered humans with complexities in all different shapes and sizes. It can be easy to miss and dismiss them, but if you take just a closer look you'll see how great these ladies are. Put some respect on these ladies' name because they've done more than enough to deserve it. And no, I'm not mentioning Daenerys. Y'all already love her enough.